The world two largest TV makers Samsung Electronics Co. and LG Electronics Inc. will launch ultra-HD TVs with curved screens that measure 105 inches diagonally in Las Vegas next month. The TV is bigger and sport the sharpness four times the regular HD television sets. 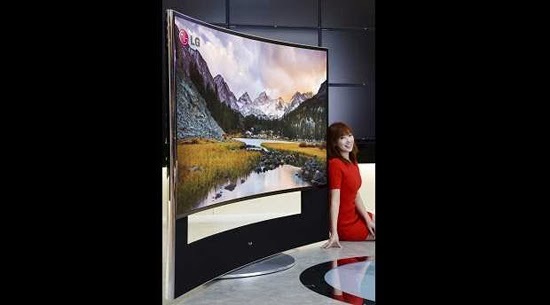 Earlier this year, South Korean TV makers began selling 55-inches curved TV sets with advanced display called OLED. The upcoming 105-inch TVs set will be made of LCD panels packing more than 11 million pixels, 5,120 pixels wide and 2,160 pixels high. Asian TV makers, Samsung and LG didn't announce the price of the upcoming TV set.